as you know, I am back in full force and here is my next 1 in 10 card for you to check out and copy. 1) Fold 8 1/2"x 5 1/2" piece of Sweet Sugar Plum CS, scored at 4 1/2"
2) Adhere 5 1/4" x 4" piece of Falling in Love DSP to 5 3/8" x 4 1/8" mat of Sahara Sand, adhere ribbon to this mat and glue all this to the main card. Adhere 5" x 3 3/4" of Very Vanilla CS to the inside of the card. 3) Stamp sentiment on 4" x 2 3/4" piece of Very Vanilla, cut out with largest of Stitches Shapes Oval, cut out Largest of Layering Ovals from piece of Sahara Sand CS. 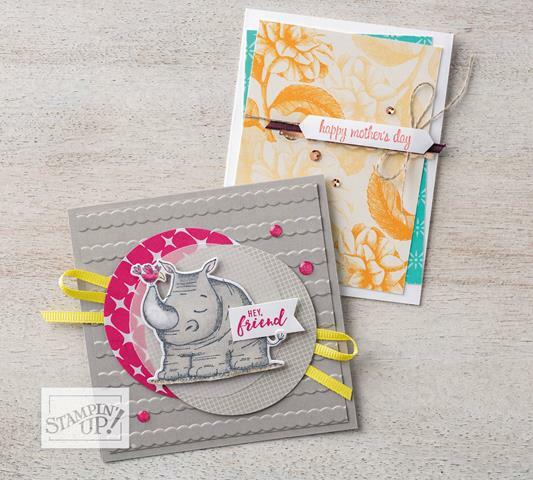 Glue together & adhere to card front using Dimensionals. 5) And you are DONE! Congratulations! This card was actually my first one of the video series. 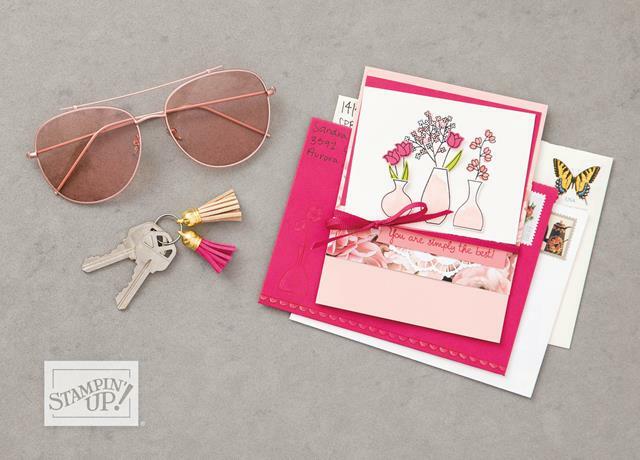 It is so easy to re-create, give it a try and share pictures of your card. Sale-A-Bration 2017 is ending soon, and I want you to enjoy my online-order incentive. 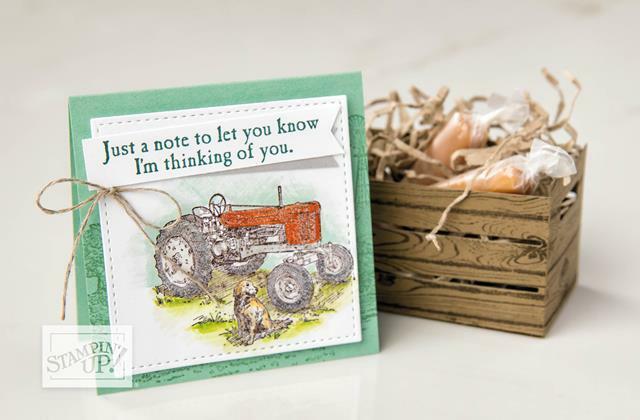 Every customer who places a SAB qualifying order will receive a gift (embellishment) from me. Don't miss out! My Online Store is the most convenient place to shop, it is open 24/7. it's Sunday, I got up early - nothing new about that, enjoyed a quick breakfast and went off to write a short blog post. 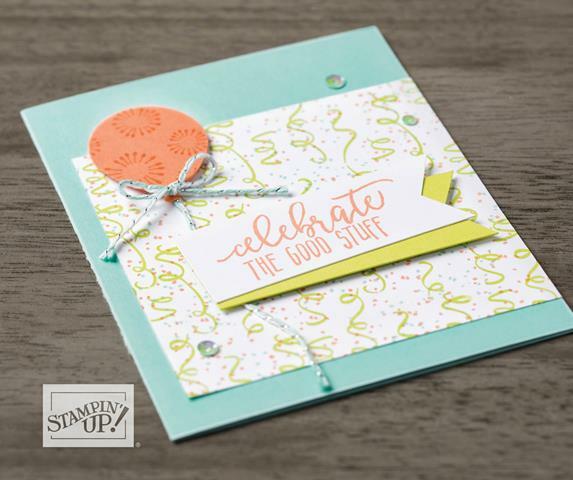 Moon Baby stamp set is featured in our current Occasions Catalogue, it was waiting for my when I returned from my travels. 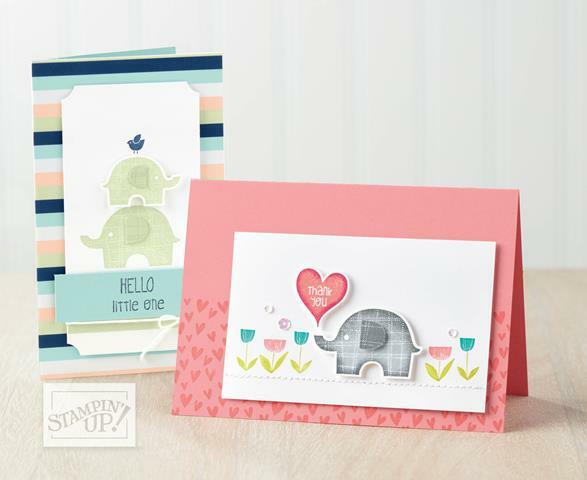 So here are the first two of my cards, arn't they cute? 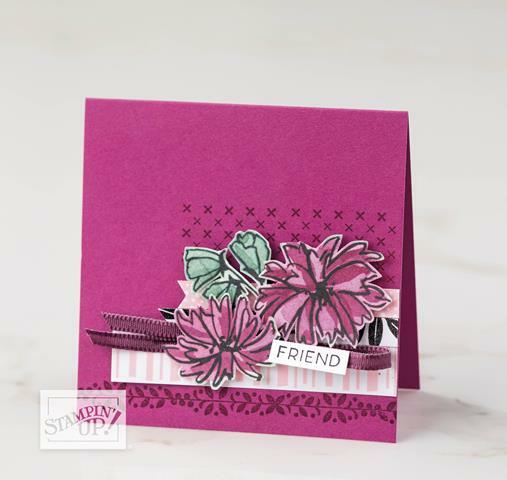 If you like these cards and want to make your own, just drop me a line or give me a call and we can set up a card class featuring this stamp set. Just a reminder, Sale-A-Bration 2017 ends on 31 March, place a qualifying order and receive a gift (pack of embellishments) from me along with a handmade card. it is finally done, I was able to upload the video showing the making of my husband's birthday card. 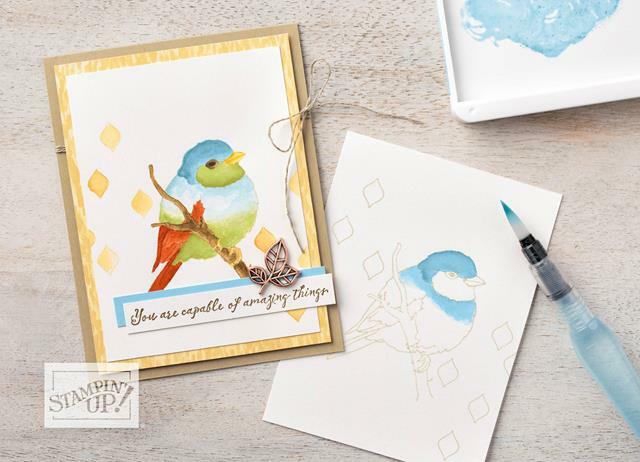 I am so excited to finally be able to show you how to make the card. With just two weeks left of Sale-A-Bration 2017 I am offering an online-order incentive to all my customers. 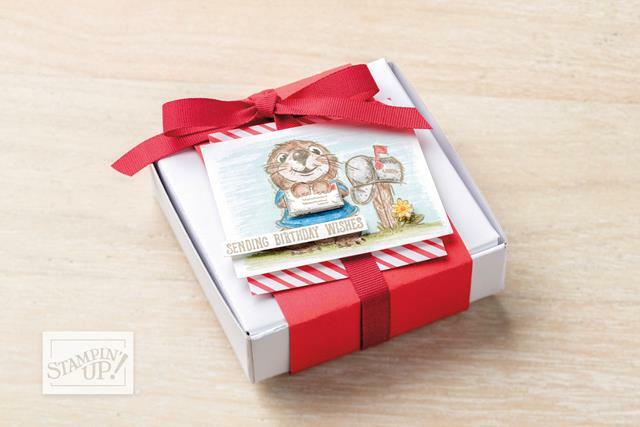 Receive a gift (embellishment) from me for each SAB qualifying order placed in my online shop. I am still reporting from accross the Atlantic Ocean, from my home country Austria. I am really enjoying my role as Oma to our adorable grandson. Life has been busy over the past two weeks, and it will not let up as we are off to a week of Fasnacht craziness with our friends in Ottenheim, Germany. 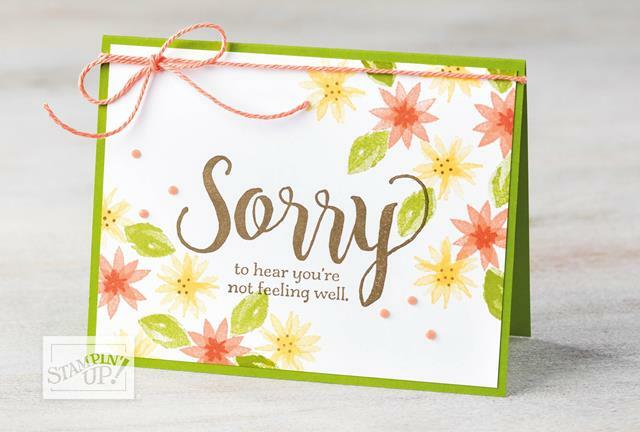 Before I leave I want to share a special card I made for my husband Gord, it was his birthday, and I was not with him this year. I decided last minute not to mail the card, but instead hiding it for him along with his present. It was fun to send him on the scavenger hunt through the house, and it sounds like he liked his card. 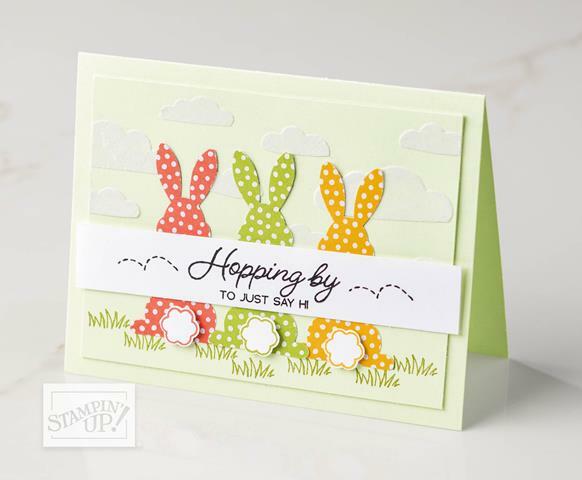 As you know by now, my goal is always to make cards that are quick, easy and duplicatable. 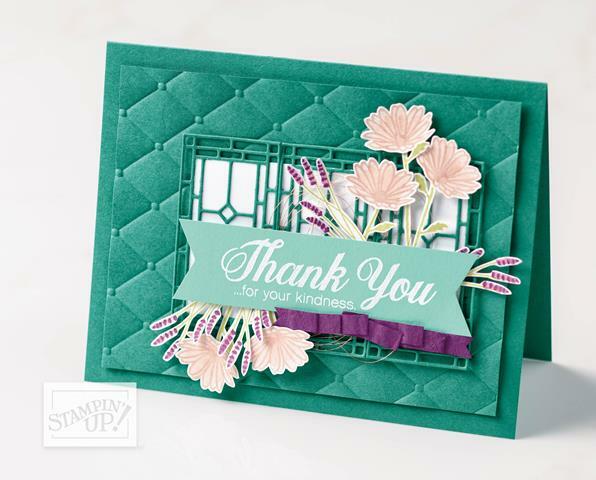 My inspirations come from projects posted on Pinterest and from the many talented paper crafters all over the world. 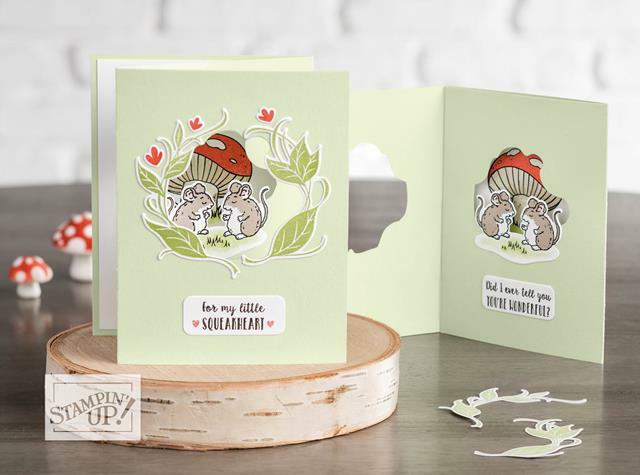 I used Calypso Coral cardstock for my first design, then - staying within the colour scheme of the DSP pack - I switched to Bermuda Bay for Gord's card. 4) Cut and adhere your two banners, layer the doily on top of it, Very Vanilla side up! 6) Attach mini tassel and paper bow using Glue Dots and you are DONE! Congratulations! This was the spot where I was going to post the video link, but I was unable to upload it. I will keep trying though, sorry! 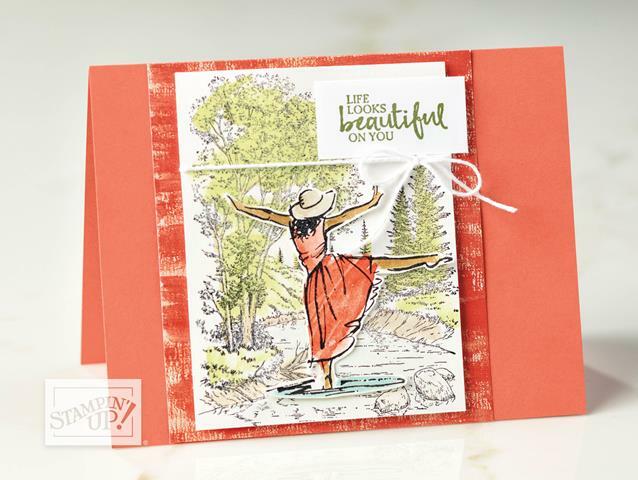 All you need to make this card in Calypso Coral are the following item, adhesives and inks not included. Total Product list: $86.75, which will quilfy you for ONE FREE Sale-A-Bration item.